LAS VEGAS – January 4, 2015 Continuing to expand its award-winning Internet of Things ecosystem, WeMo® today announced a group of new home sensors at the 2015 International CES. Featuring a window and door sensor, personal keychain sensor, room motion sensor and alarm sensor, the WeMo sensors are designed to make the entire home smarter, more intuitive and more contextually aware. The new sensors will be on display today at CES Unveiled, and during CES at the Belkin International booth, number 30551, in the South Hall of the Las Vegas Convention Center. "The International CES is the biggest coming out party of the year for WeMo and the perfect place to showcase the full breadth of the WeMo ecosystem and how it will raise the bar on home awareness," said Ohad Zeira, director of product management for WeMo. 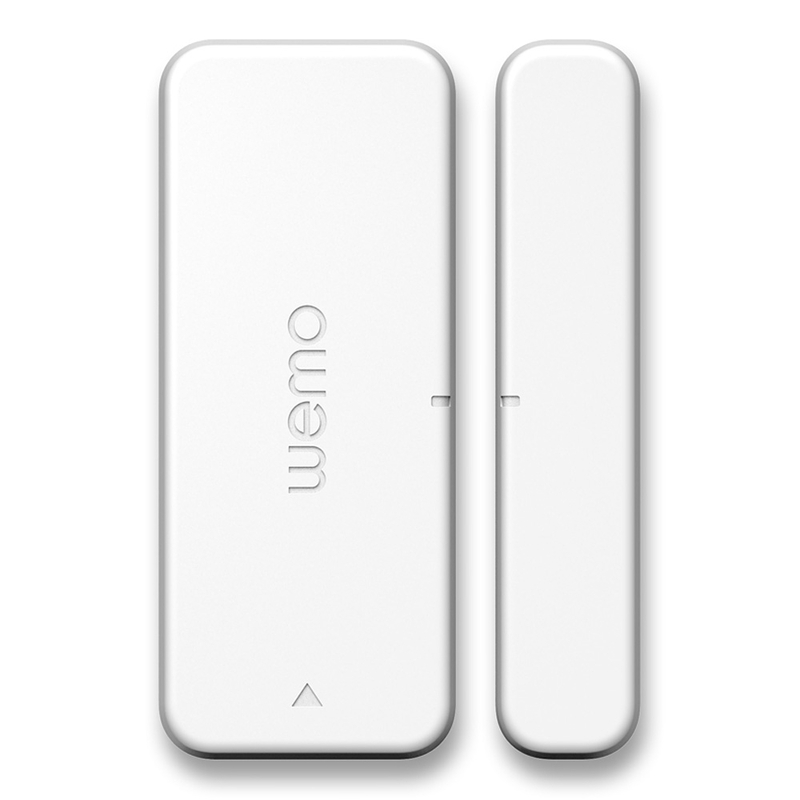 "2015 is the year that WeMo gets even smarter, with simple, easy to use sensors taking the first step towards full, anticipatory home automation that responds and reacts without direct human input and makes the whole home more conscious and connected." 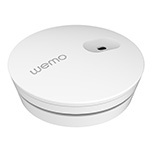 WeMo’s new home sensors allow users to monitor their entire home from anywhere using a mobile device and the WeMo Link, a Wi-Fi-to-Zigbee bridge that connects the sensors to the home’s wireless network. Subscription-free and a snap to install and use, the four new WeMo sensors provide peace of mind within the home and can alert users when things are amiss. Through the WeMo app, users can set schedules and receive alerts and notifications, as well as program the sensors as triggers to activate other WeMo devices. With a one-year battery life, WeMo Sensors provide long lasting home awareness. A magnetic contact sensor that detects an open or closed state on any window or door in the home, the WeMo Door and Window Sensor allows users to check for unexpected entry into the home while away or even in a different room. 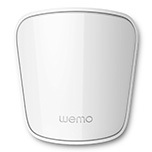 The WeMo Window and Door Sensor works with any type of door or window within the home including standard interior/exterior doors, sliding doors, refrigerator doors, even safes and jewelry boxes. Easily check in to see if windows or doors were left open by mistake or receive a notification if someone has gained unexpected entry to the home. The sensors work with other WeMo devices and can be programmed to automate a variety of tasks including heating or cooling. For example, pair with a WeMo Insight Switch and a window A/C unit to automate the air conditioning to only turn on when the window is closed, helping to save money and energy. 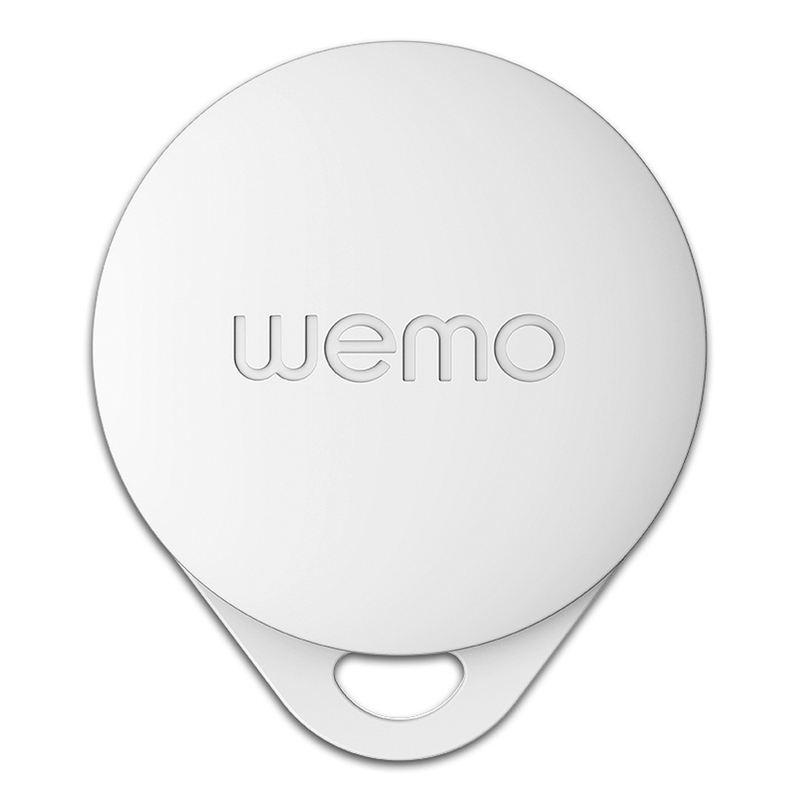 The WeMo Keychain Sensor is a small fob designed to be placed on a keychain, collar or in a bag that lets users keep track of family members’ whereabouts based on the sensor’s connection to the WeMo Link. Through the WeMo app, users can see when family members arrive or leave home, set up customized alerts for different family members, and even configure a small button on the keychain sensor to control any other WeMo device simply when pressed. 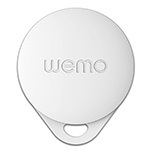 The WeMo Keychain Sensor is great for working parents so they know when their kids have arrived home from school or for pet owners to know if their animals have strayed too far from home. The WeMo Alarm sensor enhances current alarm systems with monitoring capabilities and is an ideal solution for retrofitting offline alarm systems for use with smart devices. 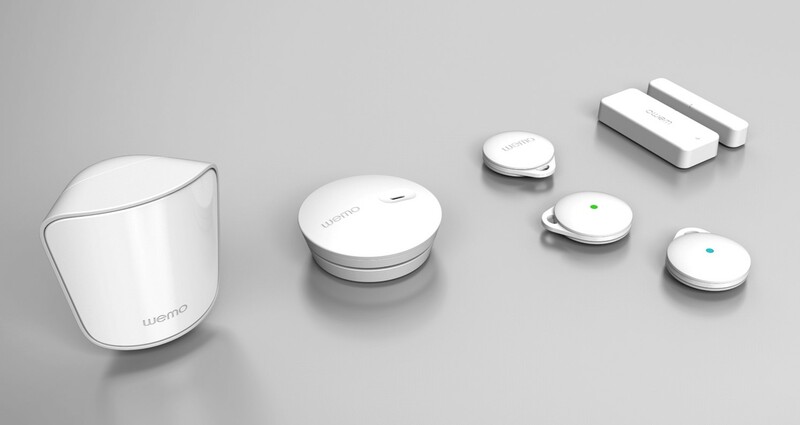 The small sensor sits next to existing home alarms and notifies users if they are activated via a mobile alert. Designed to distinguish between the sound of an alarm and other ambient noises in your house, the sensor uses a proprietary algorithm to accurately identify your alarms, reducing the possibility of a false notification. Through the WeMo app, users can set up a list of emergency contact options, making it easy to react immediately to fires, gas and carbon monoxide leaks even when away. The WeMo Room Motion Sensor is an infrared sensor that detects heat signatures for precise, room motion detection, even in large rooms and hallways. 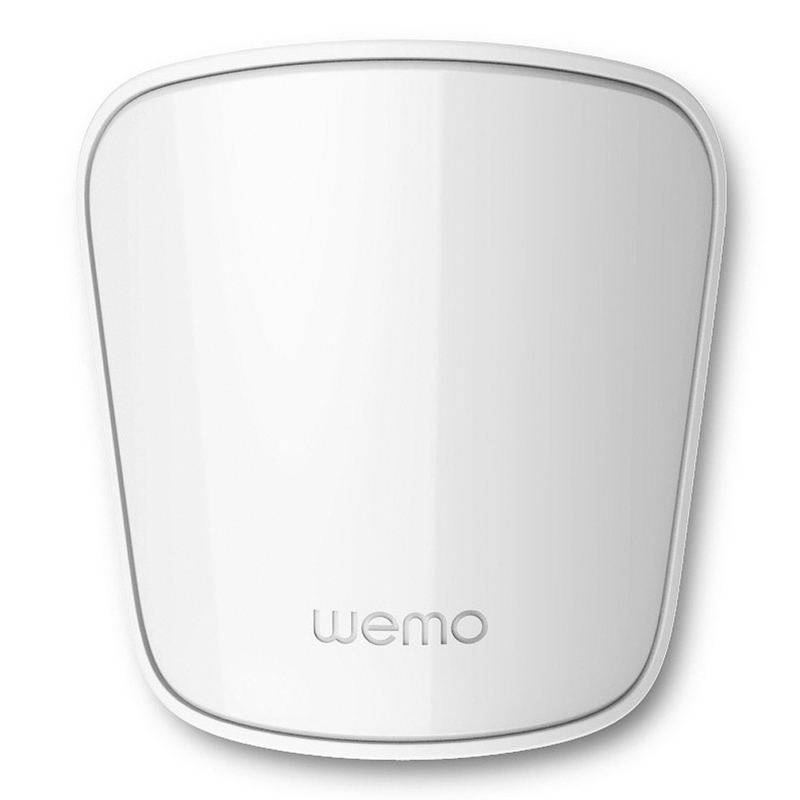 Immune to pets, the WeMo Room Motion Sensor reduces the possibility of false alarms and offers a broad 30-foot range and 90-degree field of view. Designed for indoor applications, the sensor can be used to safeguard a private room, ensure home security while away or automate other electronic devices via motion. Through the WeMo app, users can check the last detected movement within the room, set mobile motion alerts and notifications, and configure uses with other devices in the WeMo Ecosystem. For example, use in combination with a WeMo Light Switch to turn automatically turn on lights in the hallway so children can have an easier time getting to the bathroom at night. Representing the next generation of WeMo sensors, WeMo Water with Echo Technology uses advanced machine learning algorithms to provide unprecedented insight into household water usage. From a single sensor attached at one point on the home’s plumbing system, WeMo Water monitors, analyzes and relays information about water consumption throughout the entire home. WeMo Water works by sensing and analyzing the pressure change vibrations caused by water events such as turning on a faucet or flushing a toilet, and does not require the WeMo Link. WeMo Water can accurately calculate water consumption duration and cost per object or even alert users to potentially devastating damage and leaks. Beyond water and cost savings advantages, WeMo Water opens the door for using the home’s existing infrastructure to create predictive, anticipatory automation that lives up to the full promise of the connected home. Currently undergoing field trials, a sneak peak of WeMo Water’s consumer applications will be on display at the 2015 International CES. 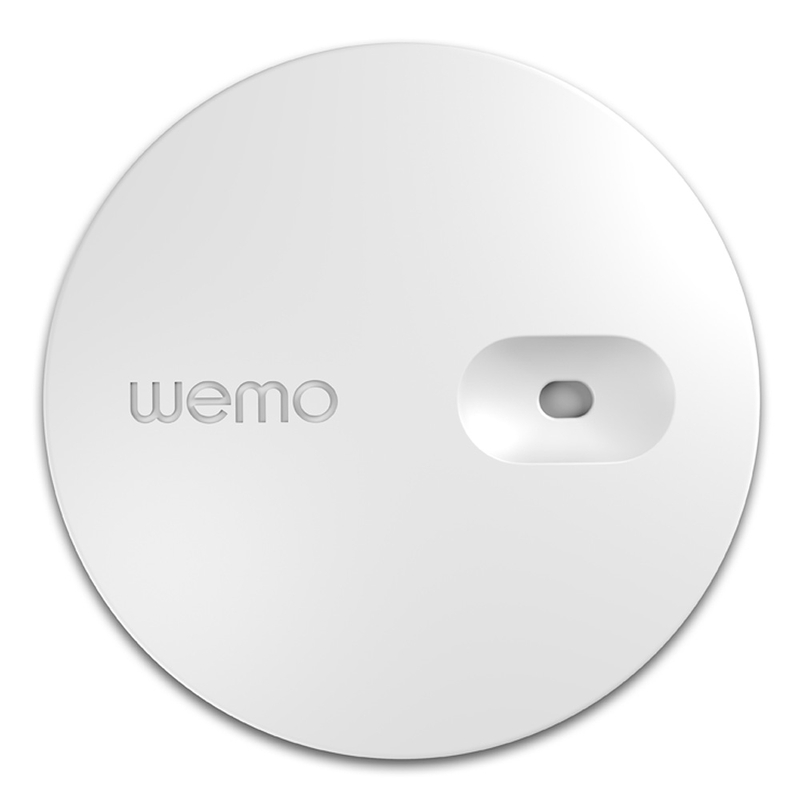 The WeMo Sensors will be available in the second half of 2015; pricing is undetermined at this time. WeMo Water is currently in field trials and availability dates are unavailable at this time. WeMo is Belkin’s award-winning home automation ecosystem and the leader in delivering customizable smart home experiences. Designed to be the most approachable entry point to the smart home, WeMo products and partner products empower people to manage, monitor and adjust their electronics, appliances and lighting from anywhere at any time via the free WeMo app. To learn more about WeMo visit http://wemothat.com. Like us on Facebook at Facebook.com/WeMo, and follow us on Twitter at Twitter.com/WeMo. To learn more about Belkin, visit belkin.com/us/aboutus. Like us on Facebook at facebook.com/belkin, and follow us on Twitter at Twitter.com/belkin.